You don’t need to wait until high summer to get your garden going. 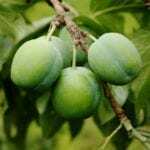 In fact, many vegetables grow and taste better in the cooler temperatures of spring. Certain ones, like lettuce and spinach, will bolt when the weather gets too hot and can only be grown in cool temperatures. Keep reading to learn more about when to plant cold season vegetables. What are cool season crops? 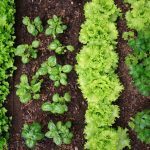 Cool season crops germinate in cold soil and mature with cool weather and short periods of daylight, meaning they are perfect for planting in early spring. Pea, onion, and lettuce seeds will germinate as low as 35 F. (1 C.), meaning they can go in the ground as soon as it is unfrozen and workable. Sometimes the period between the ground becoming workable and high summer is awfully short. A great way to get a head start, no matter where you live, is to start your seeds indoors even earlier in the spring, then transplant them as seedlings when the weather is just right. Many cold weather food crops can be started indoors six to eight weeks before the last frost date. Just make sure that when you put your cool weather plants out in your garden you save enough room for your hot weather plants. 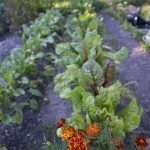 Plants that grow in cold weather are often ready for harvest around the time hot weather plants can be transplanted out, but an especially mild summer can mean your lettuce and spinach will last much longer than you’d planned.